I love steamed clams and I love Dining at the Paddlefish Restaurant in Disney Springs! I can always count on them for a delicious meal and they were kind enough to share there recipe for steamed clams with me. 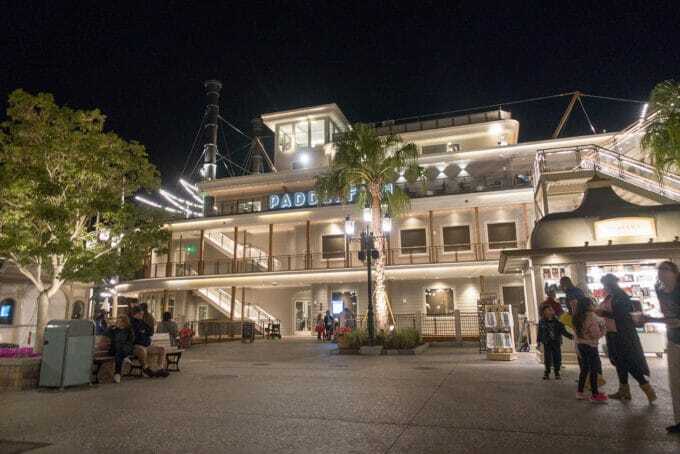 When it comes to deliciousness in the Orlando area I love visiting Disney Springs and I love dining at the Paddlefish Restaurant! 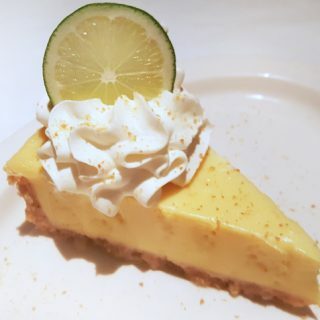 I’ve been living in the Orlando area for four years now and I’ve enjoyed the ever-growing culinary scene and all it offers a foodie. 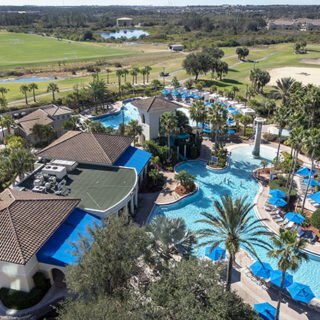 Orlando has become a true foodie paradise. A theme park for your senses and your stomach! 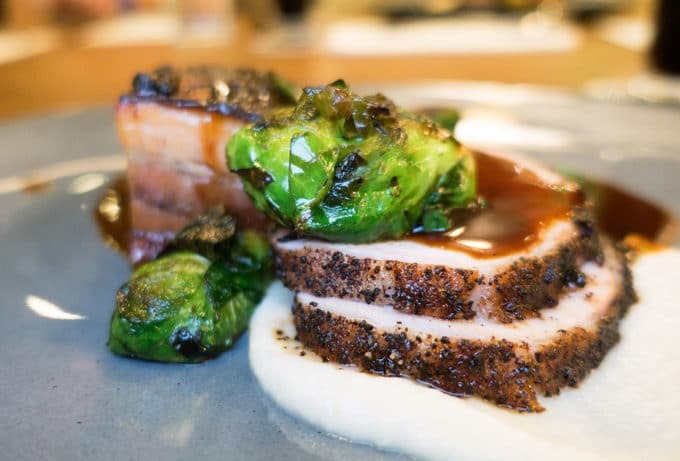 I recently got to experience a new dining option at the Paddlefish, their first ever Rooftop Beer Dinner. They paired five courses with beers from Winter Gardens very own Crooked Can Brewing Company. 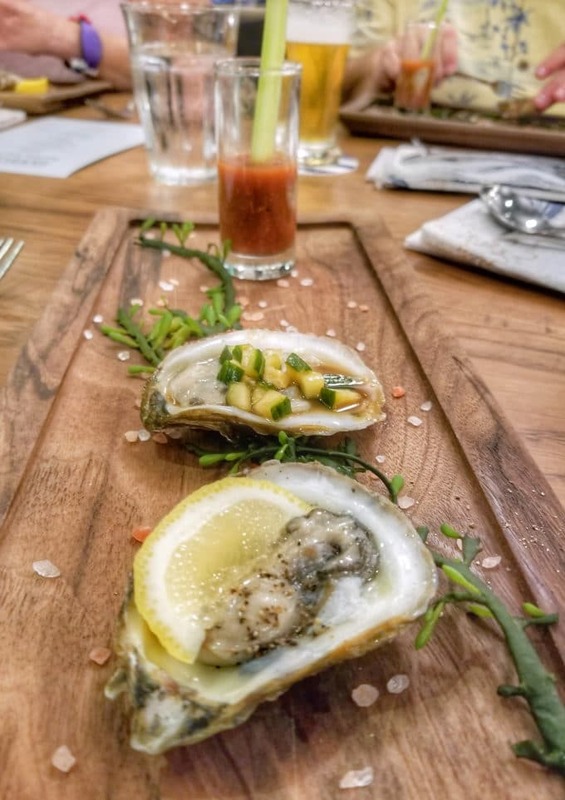 We started off with an Oyster Trio that included a Lemon & Pepper, Mignonette and an Oyster Shooter. As you can see the presentation was perfect and each oyster so very flavorful and so very different. Crooked Can paired their Mr. Tractor Kolsch Style Ale with this first course. The second course was one of the best dishes of Steamed Clams I’ve ever had. The Paddlefish chef explained the difference in these New England clams as opposed to the littlenecks we’re used to seeing. As you can see there is a tubular siphon that sticks out of these clams which is how they breathe. Its often called a neck or a foot. The Crooked Can Brewery paired their High Stepper American IPA with the clams. The third course was a traditional Gumbo. And although this combination of Chicken, Chorico (Portuguese Sausage) and Shrimp wasn’t as aesthetically pleasing as the rest of the courses, one bite left no doubt in your mind that the chef that prepared this deliciousness knew his way around the kitchen! 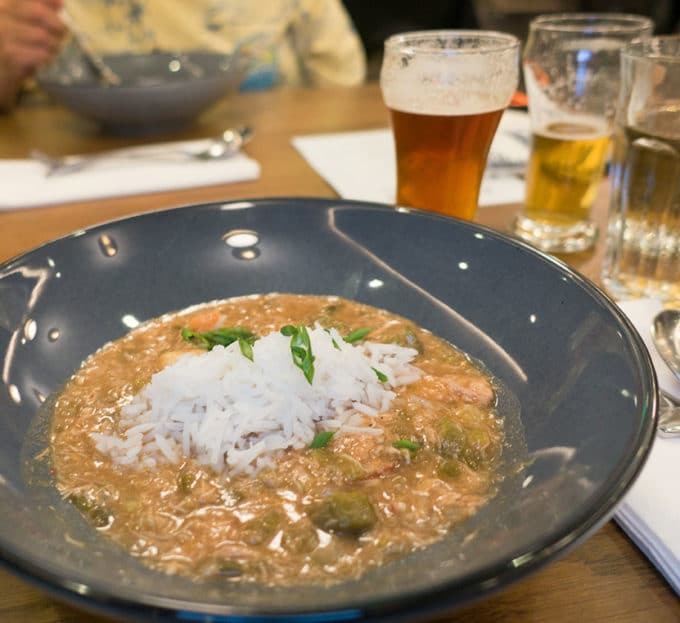 This bowl of gumbo was masterfully paired with Crooked Can’s McSwagger’s Own Amber Ale. I that was my favorite beer of all that we tasted. Our fourth course was as beautiful as it was delicious. And in fact, I took quite a few pictures at different angles to make sure I did it justice. 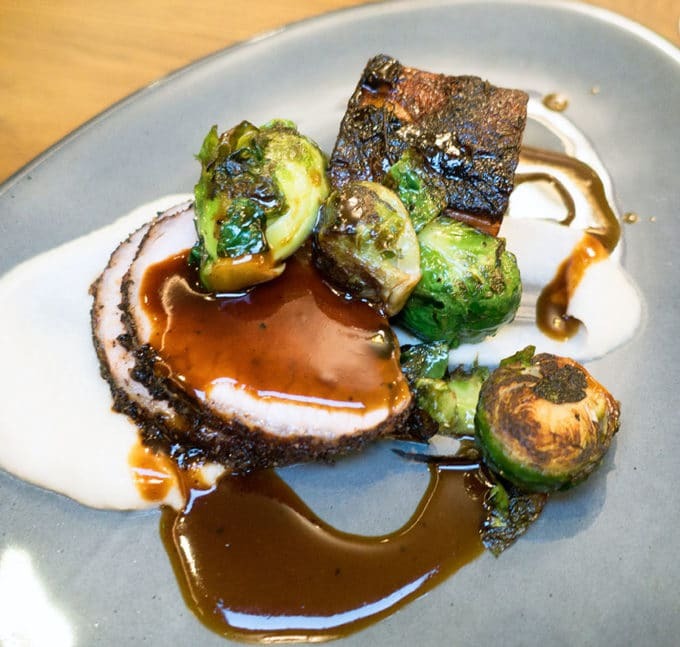 Crooked can paired this course with their Freedom Ride Stout, which was also used in the sauce. It was perfection on a plate! By this time we were so full that I didn’t think I could eat another bite. 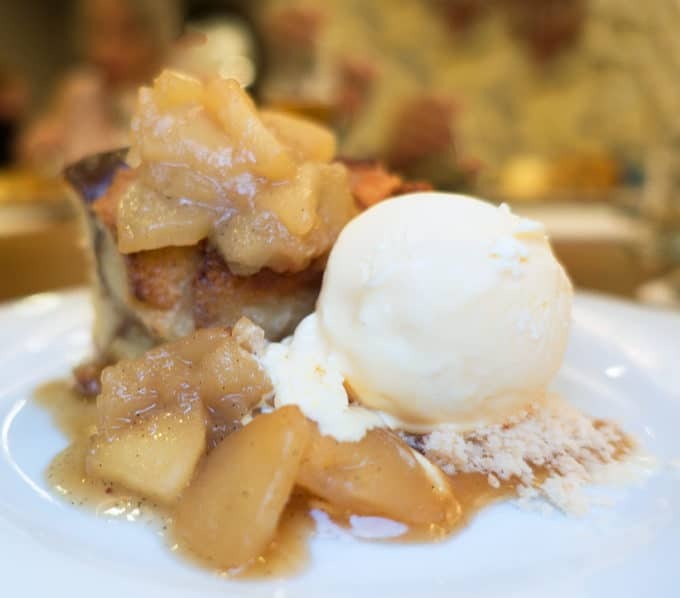 That changed as soon as they brought out dessert…..
Dessert was a Spiced Apple Bread Pudding that would have been heavenly on its own, but with the vanilla ice cream, it was over the top and simply ah-mazing! This was paired with Crooked Can’s Domestic Bliss. I am constantly amazed at how craft beers have developed and how they are artfully matched with foods to bring the nuances of the beer. Beer has definitely become the new wine and the Crooked Can Brewery is having a great time making their guests happy with their creations. When you do what you love it’s not work! 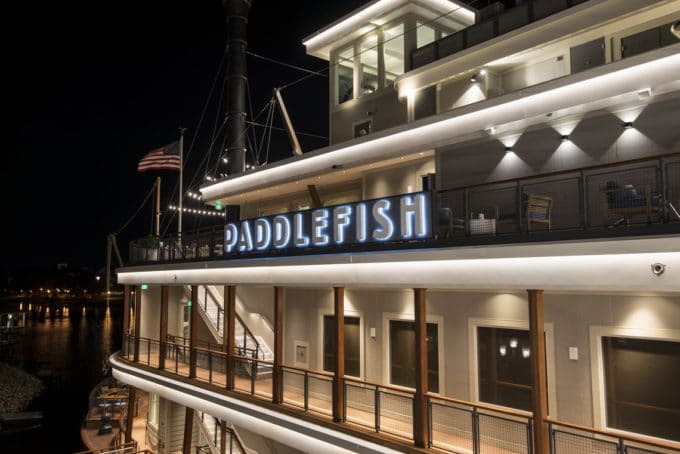 And if you’ve never been to the Paddlefish at Disney Springs put that down on your must-visit list. And make sure to find time to visit the rooftop for a cocktail or two and a spectacular view. 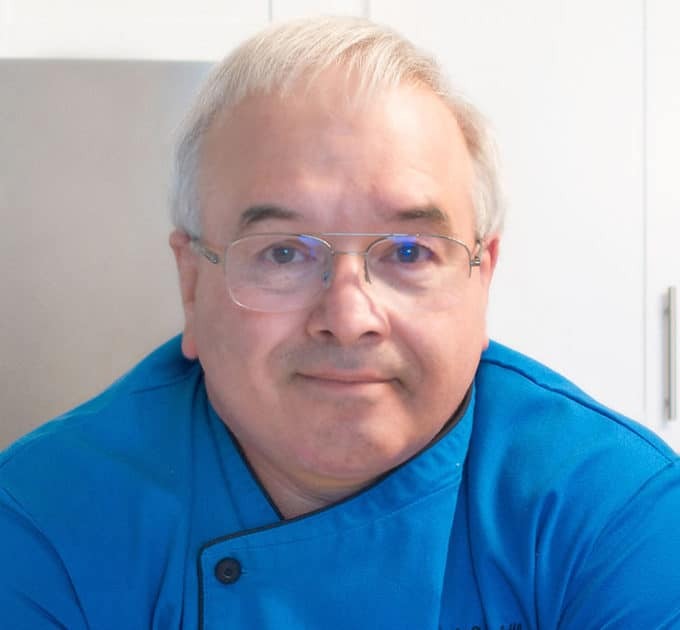 I was so impressed with the New England Steamed Clams that I asked their Executive Chef Steven Richard for the recipe and he was kind enough to share it with us. 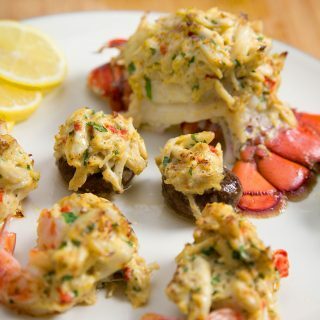 You can, of course, use little necks in the recipe if you can’t find the New England Steamers. Rinse the steamer clams aggressively in cold water several times to remove all of the grit. Drain the clams well after rinsing. Store them cold until ready to prepare. Do not store submerged in water. Add the clams to the pan and allow to cook one minute before adding the clam juice and 6 ounces of the same beer that you intend to serve with the clams. Bring the clam juice up to a boil and add the juice and zest of one lemon and the 2 TBSP of butter. Place the lid on the pan and cook until all the clams open – about 3 to 4 minutes. Place the clams in a large shallow dish with all of the cooking liquid and scatter the parsley leaves over the top. 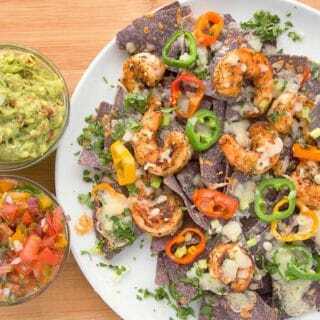 Serve immediately with melted butter for dipping. New England steamer clams are not easy to find. 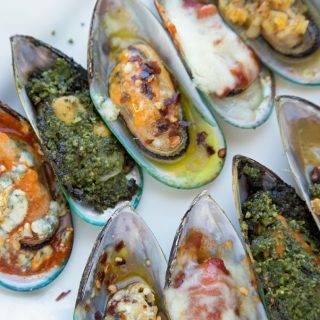 Little neck clams or mussels will also work well with this same preparation. Clams are a live seafood product that is highly perishable. Buy them on the day that you plan to use them if at all possible. If you have a clam that is stubborn and does not open when the others do, it should be discarded. 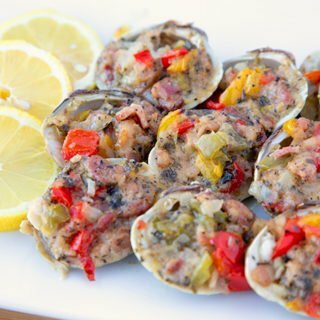 Steamed clams pair very well with a cold beer. 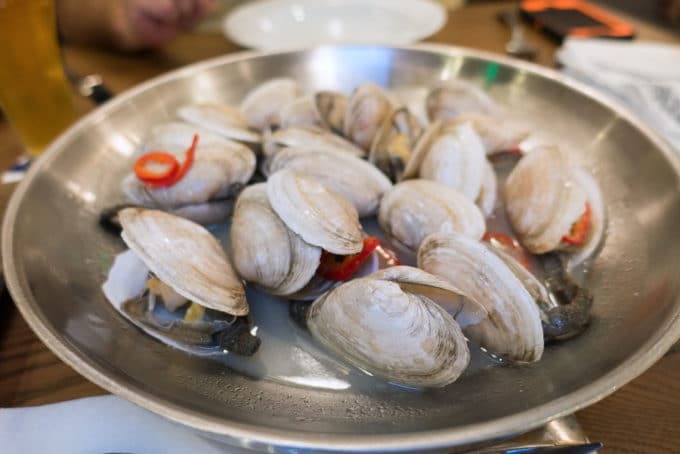 New England steamer clams are great shared first course for a casual gathering. Previous Post: « Chocolate Peanut Butter Cheerios and Chex Muddy Buddies Recipe – Enjoy the holidays by the Handful! My husband and I where at your resturant on oct 2018. I’m writting because my husband had the little neck claims in the white wine and garlic and butter. I’ve tried to make them at home for him and cant get it right.